Losing a loved one is never easy and it’s especially difficult when the loss is due to the death of one of our parents. Sadly, we will all share that experience at some point in our life. As we move forward from the loss, we may also face financial issues when dealing with any financial benefits our parents left us. One of these is their superannuation. On July 1, 2017, an update on the new transfer balance cap was announced. This complicates the Child Death Benefit further, so we highly advise that you consult a professional to assist you from start to finish. Did the death benefit income stream start before July 1, 2017, or on or after that date? Whether the deceased parent had a transfer balance account (TBA) before the time of their death. If the deceased parent had a TBA, the source of their super interest that the child recipient’s income stream comes from. What the recipient child already has their own superannuation income stream as a result of a disability? It is possible that a child may already have commenced a superannuation income stream prior to the death of their parent. In this case, they will already have a personal transfer balance account. This will generally occur where the child is or has become permanently disabled and has started an account-based pension under that condition of release. Their personal TBC will be $1.6 million as at July 1, 2017. With the death of one or more parents, they will modify their accounts to also include amounts from their parent. They will effectively have up to three $1.6 million pension transfer balance caps, as the existing transfer balance cap is disregarded when it comes to assessing their eligibility to receive a death benefit pension. 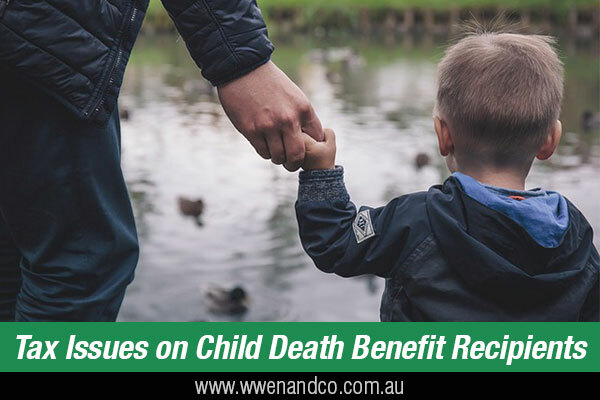 If the child is receiving the death benefit income stream before July 1, 2017, then the process is relatively simple. The cap increment is equal to $1.6 million, and thus the child benefit recipient can receive up to $1.6 million without exceeding their modified transfer balance cap. However, it is important to understand that the child recipient is only entitled to their share of the deceased parent’s cap. If it is one child then it will be all of the caps, however, if there are two or more children receiving a percentage then their modified cap will be their percentage not the total of $1.6 million. For children who start a death benefit pension on or after July 1, 2017, where a deceased parent does not have a TBA as a result of being in accumulation at the date of their death, they will be entitled to their share of their deceased parent’s TBC. Where the deceased parent had a TBA at the time of death, then the outcome is dependent on what type of death benefit income stream that it comes from. Only death benefit income streams that come from a retirement phase interest of the deceased parent can be included in the cap increment. This can disadvantage a child beneficiary where the death benefit comes from the parent’s accumulation increment because in that case, transfers from the accumulation phase incur no cap increments. In the situation where at the time of the death the parent had an excess transfer balance, the child recipient’s cap increment is reduced by their share of the parent’s excess amount. This effectively means that where a deceased parent has an excess transfer balance, this amount is deducted from the value of the deceased’s superannuation pension at the date of death.